Smart Thermostats: You’ve Heard of the Pros, What are the Disadvantages? Smart thermostats can supposedly do pretty much anything you can imagine. They lower your utility bills, they keep your home comfortable, and they single-handedly save our Earth’s precious resources (at least, they certainly imply it in their advertisements.) 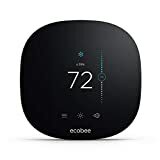 <But smart thermostats are like anything in life — there are negatives to even the most seemingly positive product on the market.> If you’re wondering whether or not it’s worth it to buy a smart thermostat, you may just want to understand the bigger picture before moving forward. Most people would rather not spend one of their precious weekend days holed up in their house, staring at an incomprehensible owner’s manual. 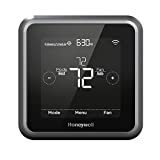 But unfortunately, these are the exact scenarios that many smart thermostat buyers report when it comes to hooking up their smart thermostat. The worst part is that homeowners often don’t even realize that they’ve made a mistake for many moons after they’ve already finished put it all together. So you’re wasting money on a device that’s supposed to be saving you money! Smart thermostats won’t do a homeowner any good if they can’t figure out how to use them, or if they can’t remember to program them based on the family schedule. Plus, certain models have been known to have inherent technical problems which can cause untold frustrations. The larger problem is that homeowners who are faced with a non-user friendly device often hold onto for far longer that they should. They may think they’re going to get around to figuring out the problem soon, only to find that months go by without making any moves to fix it. It’s not only a waste of time and money, it can also turn you off to smart tech entirely (which would really be a shame.) 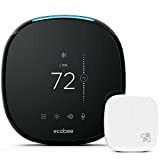 If you’re going to get a smart thermostat, you might want to spring for the most reputable product on the market and for technician’s help to hook it up. Smart thermostats can usually pay for themselves in about two years. They save an average of about 11% on heating and 15% on cooling costs (based on independent studies.) But they also cost about four times more than an average thermostat does. Plus, the percentage you save on heating and cooling costs may not even apply to your home. How much you save will be largely dependent on how often you’re in the home, what your ideal temperature is, and what type of climate you happen to live in. If you don’t necessarily have the money for a major expense right now, then you may want to put off the purchase for a little longer. This isn’t to say that smart thermostats are bad for the home because they’re definitely not. Learning thermostats will not only adjust the temperature based on your schedule, they can also track your location in order to make the home cozy by the time you get back! So the right one will skip over many of the problems listed above. The biggest hurdle to picking out the perfect thermostat will typically be how much you’re planning to spend, and how much time you can devote to learning the system. Smart thermostats can help protect your home from high utility bills, but there are plenty of other types of protection available to you. For more information about better security, call Protect America today. Our quotes are entirely free and you’re under no obligation to buy. Contact us to find out more about how you can give yourself total peace-of-mind.